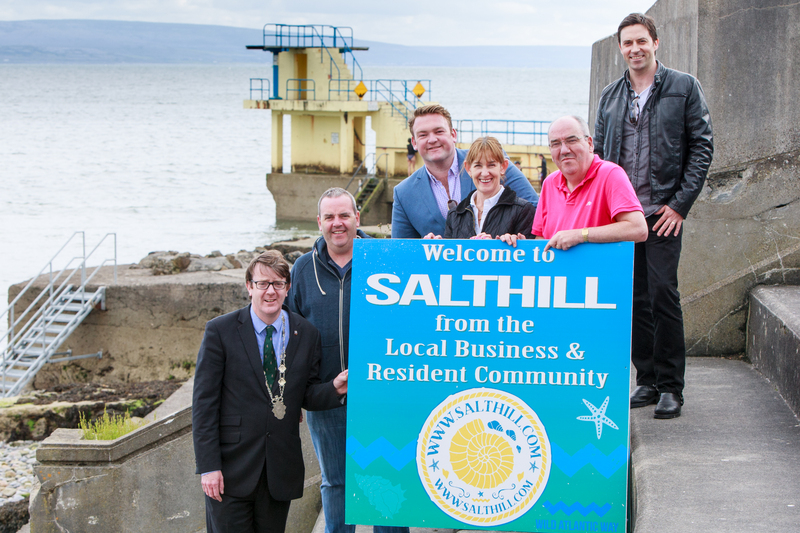 Salthill gets map for ‘Kick The Wall Walk’! 25k copies being distributed around Galway! Joe Quinn, Deputy Mayor Cllr. Niall McNelis, Marcus Seoige of Galway Global Promotions, Geraldine Lohan of Lohans, Roger O’Sullivan of GGP and The Galleon and Tom O’Connor of O’Connor’s famous pub Salthill pictured lost on the middle of the Prom! Luckily Galway Global Promotion has just published a map for the famous Kick The Wall walk that shows the walking trail. Let’s see where the map will send the crew from the picture?? ?